Big village of Tsakonia that keeps its tradition unchangeable. It is in a distance of 6km from Astros on the way to Leonidio, it is constantly increasing its population and its touristic development with underconstruction it is full of olive groves and citrus trees. 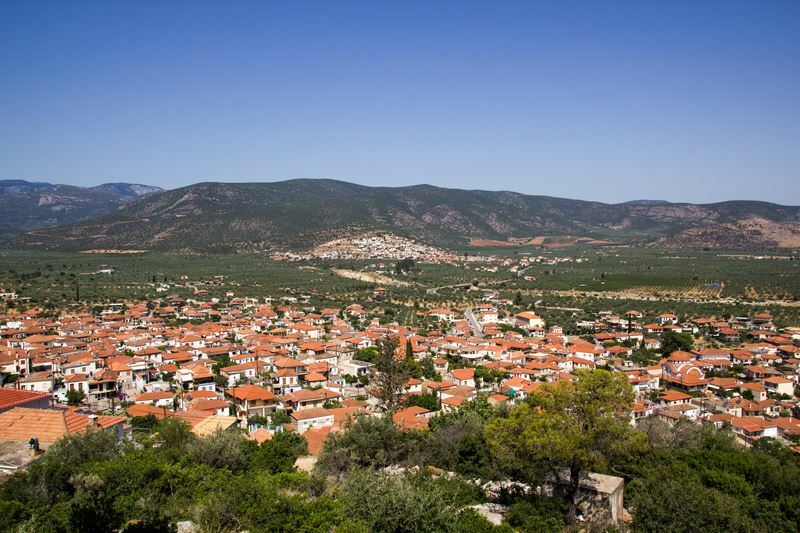 Into its borders there is the green village of Agios Georgios and Arkadiko Chorio, an area for the descent. The visitor can find rented rooms, tavernas, restaurants, beachew with crystal-clear water and suitable for water sports. 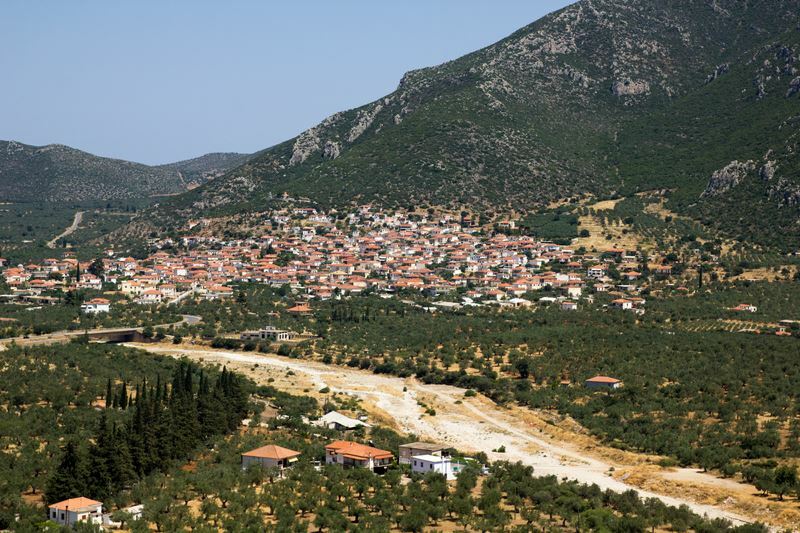 The village is called "entrance gate" to the villages of Kastri, since you can visit Kastanitsa, Prastos from there, as 5km outside the village starts the gorge of Zarbanitsa. The visitor can see the ruins of ancient Athini, the monastery of Orthokostas dedicated to the Annunciation of Virgin Mary and a tall tower and the stone made bridge to Vrasiati river. In the village celebrations and festivals all year round.